Scientists from two teams reported Wednesday in Nature they were able to use CRISPR-Cas9 gene editing technology to dramatically restructure a yeast cell's complex genome that continued to live but was sometimes unable to reproduce in future generations. Why it matters: Scientists seek a better understanding of how chromosomes are copied and divided in humans in order to figure out what causes faulty chromosome packages that can trigger miscarriages and some genetic disorders like Down's syndrome. Plus, they want to examine more closely the role played by the number of chromosomes, which differs greatly by species. "We are learning how one species becomes two." Background: Researchers often experiment on yeast because it's structured similarly to human cells, yet reproduces at a faster pace. What they did: Both teams used CRISPR-Cas9 to take the full 16 chromosomes and stitch them into one or two mega-chromosomes. The study led by Boeke melded the chromosomes into two, while the study led by Zhongjun Qin, a molecular biologist at the Chinese Academy of Sciences’ Shanghai Institute of Plant Physiology and Ecology, created one mega-chromosome. 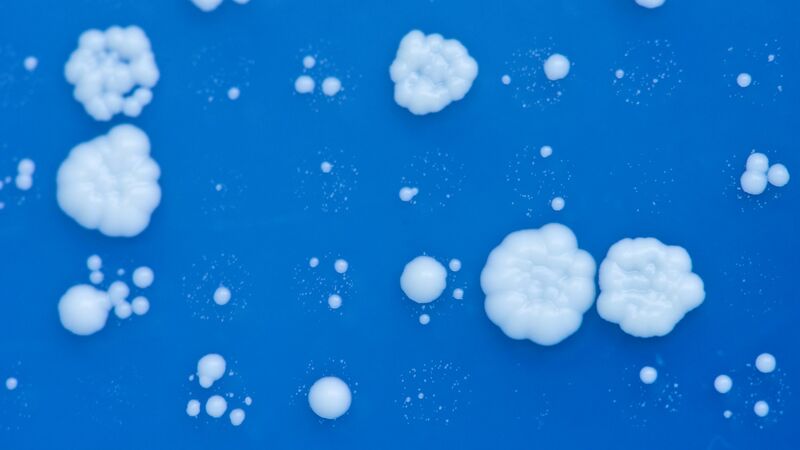 What they found: After initial failures, they were able to use CRISPR-Cas9 to successfully edit the genome and generate living strains of yeast with either one or two chromosomes holding all the genes. The altered strain was able to divide and grew via mitosis at the same rate as the normal strain. However, the offspring of these altered strains were mostly unable to reproduce. "Remarkably, the resulting yeast were viable and healthy; there were few phenotypic changes relative the the ancestral strain with 16 chromosomes. Whereas reducing the number of chromosomes to two or fewer caused some cell sickness, overall cellular processes remained remarkably stable." What this means: Ilya Finkelstein, assistant professor of molecular biosciences at the University of Texas at Austin, who was not part of this study, says this suggests "one origin of new species may be a chance chromosome fusion/fission event." And, Boeke said in the press release: "This begins the process of their becoming different species." Meanwhile, these studies also advance research into the development of yeast that cannot reproduce, which would be beneficial in alternative uses like recycling agriculture waste for fuel production and supplementing livestock feed, the authors say. Go deeper: Read STAT's piece on the studies.